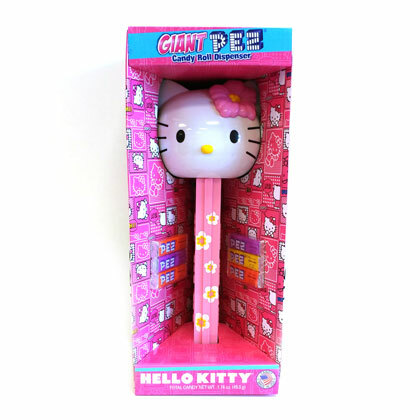 Giant Hello Kitty Pez Dispenser. Approx. 13 inches tall and comes with 6 packs of delicious Pez candy. When the dispenser is opened, an entire pack of Pez candy is released. Net weight 1.74 oz.